Sen. Molly Baumgardner, left, was the Senate's lead negotiator on the school funding agreement. “By investing in our local schools, we can ensure that all Kansas children – no matter who they are or where they live – have the opportunity to succeed,” Kelly said in a statement touting the bill’s passage. It’s a victory for Kelly, who campaigned on school funding promises. The Kansas Supreme Court said the half-billion dollar boost lawmakers approved last year largely provided the resources needed to support public schools and help struggling students. Still, justices said it required an inflation adjustment. The newly passed plan will add about $90 million in funding for schools per year for four years. After that, current state law says future spending increases will be set by a rolling average of the Midwest Consumer Price Index. According to the Kansas Association of School Boards, it translates to a roughly 3% raise to the general aid districts get from the state. Though conservative Republican leaders concerned about the cost had held off a vote in the House for weeks, the bill drew broad bipartisan support. It passed the House on a 76-47 vote, and 31-8 in the Senate. “Folks really do believe that this is our best shot at ending that litigation,” Republican Sen. Molly Baumgardner said after the final vote. But within hours an attorney representing the districts suing the state told the Associated Press that he doesn’t believe the money will be adequate beyond the 2019-2020 school year. 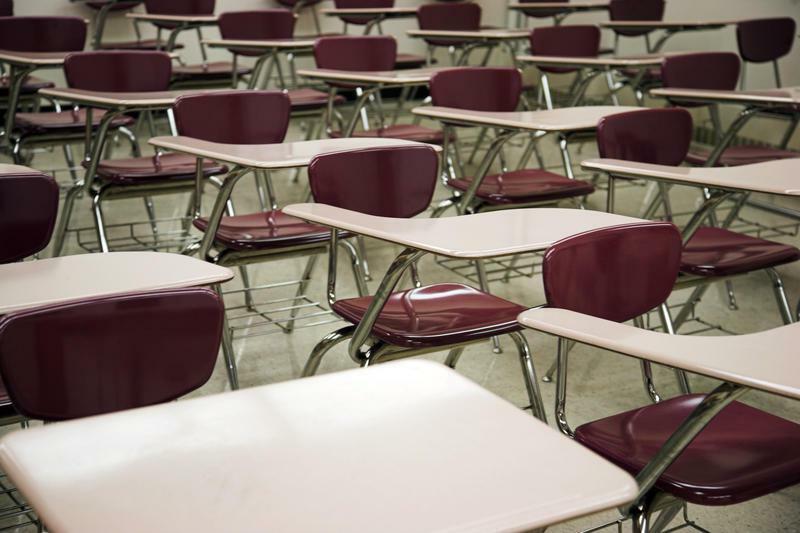 A coalition of school districts initially supported the governor’s funding recommendation, which was based on calculations from the state Department of Education, but after further study pulled its endorsement. Republican leaders who objected to the spending argued that it would not guarantee improvements in student achievement nor an end to litigation if the state can’t live up the agreement — at least not without tax increases or cuts to other state services. Some supporters of the bill shared those cost concerns but hope the state’s tax collections will be able to cover the expense. The ongoing fight in the Gannon case, filed in 2010, is really an outgrowth of the Montoy lawsuit settled in 2006. After the economic downturn, the state reneged on funding obligations from the agreement that ended Montoy, which led to the filing of Gannon. When justices struck down the state’s funding formula in 2017, they noted that around a quarter of students struggled in reading and math. Lawmakers tried to tailor their new plan in response. The agreement directs the Kansas State Board of Education to identify programs that help kids at risk of falling behind. And it calls for the continuation of the legislative task force on dyslexia for another three years. The bill also folds in some of the accountability measures that conservatives were insisting on. Included is an audit in 2021 of school district savings accounts and bilingual education for students learning English. The state Department of Education will have to publish one-page performance reports for individual schools, district budgets, and reports specifying how much is being spent on school finance litigation. Ryckman’s concern about the cost of the increases recommended by the governor prompted him to offer a last-minute alternative that would have only given schools an additional $120 million for the next four years. It would have banked another $240 million in the event the Legislature or the courts decided more was needed for education down the road. That idea was quickly sidelined after Senators refused to budge from the four-year, $360 million plan that passed their chamber. The full House never actually approved a spending plan, which put House members at a disadvantage in the negotiations over funding. During those talks between the House and Senate, the CPI adjustment in the future was a major sticking point. “The … plan is to put taxpayers on the hook in perpetuity for inflation,” Republican Rep. Kristey Williams said as talks got heated. House leaders ultimately relented to break the logjam and allowed the Senate plan to go up for debate. Even if the court signs off on the funding now approved by the Legislature — briefs are due later this month with oral arguments scheduled for early May — wrangling over the CPI adjustment could continue. Senate leaders did also raise concerns about the automatic increases in school spending and want to look at the issue again next year. “I think there’s another way to skin the cat that would make sense, but we don’t have time to do it,” Republican Senate Majority Leader Jim Denning said.